Wayne, Pa. (November 21, 2017) —Tekni-Plex, Inc. has promoted Michael Luo to general manager of its China operations. 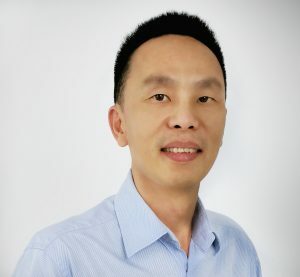 Luo joined the company in 2014 as director of sales and marketing. The announcement follows the successful production start-up of the company’s new state-of-the-art manufacturing facility in Suzhou, China, near Shanghai, which has been supported by a $15 million investment. “Michael has been the key architect of our China growth strategy which has resulted in significant increases in business for our Colorite compounds and investments in technology to grow our Natvar medical tubing business,” said Paul Young, chief executive officer, Tekni-Plex. Luo will continue to report to Russell Hubbard, senior vice president-international. “The new appointment will enable Russ to increase his efforts on M&A activity in Asia and develop integrated global strategy for products that support the region’s growing pharmaceutical and medical device businesses,” Young said. The new China facility will be producing Natvar’s recently-announced silicone extrusion tubing for catheters, feeding tubes, drug delivery and peristaltic pump applications. Production for micro-extrusion tubing that targets a wide variety of demanding infusion, neurovascular interventional therapies and surgical applications is expected to be onstream early next year. The facility also manufactures Colorite custom compounds for medical device applications, and Action Technology’s dip tubes used in a wide variety of food/beverage, pharmaceutical, personal care, industrial and household trigger sprayer, pump and aerosol applications.